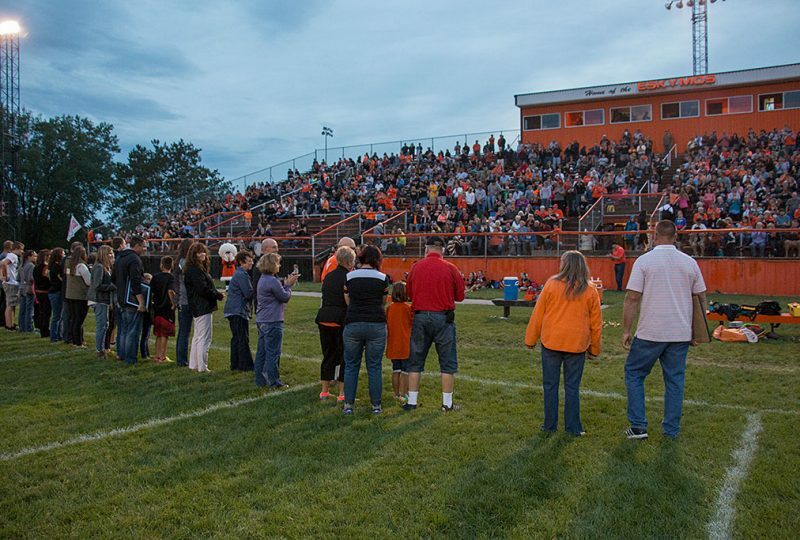 It was the eighth year that the club has honored those who have made a significant contribution to the Eskymo football program. Nick Anderson was a U.P. Dream Team lineman for the Eskymos in 1995 and played in the state All-Star Game in 1996 before joining Northern Michigan University. 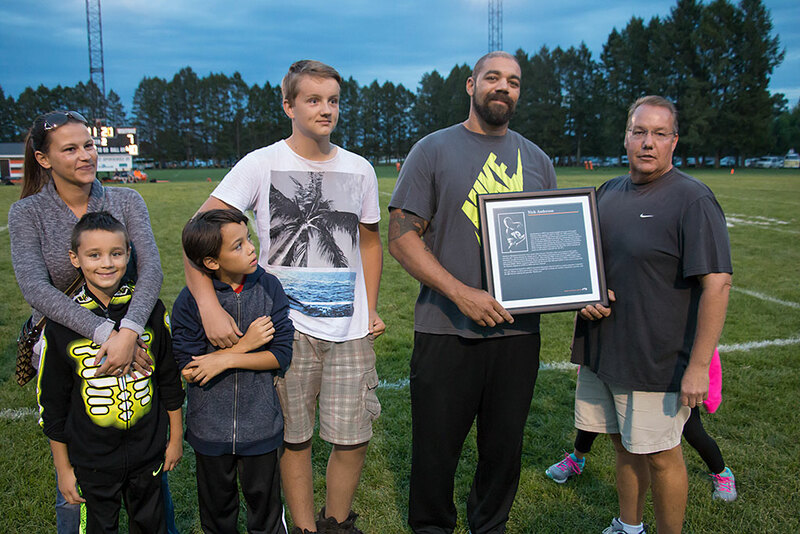 He was a four-year starter for the Wildcats, missing just one game, and was second-team GLIAC in 2000. Anderson spent five years playing in the Arena Football League with the Iowa Barnstormers, Columbus, Ga. Waterdogs, Albany Conquest and Green Bay Blizzard and earned a tryout with the CFL’s Toronto Argonauts in 2002. 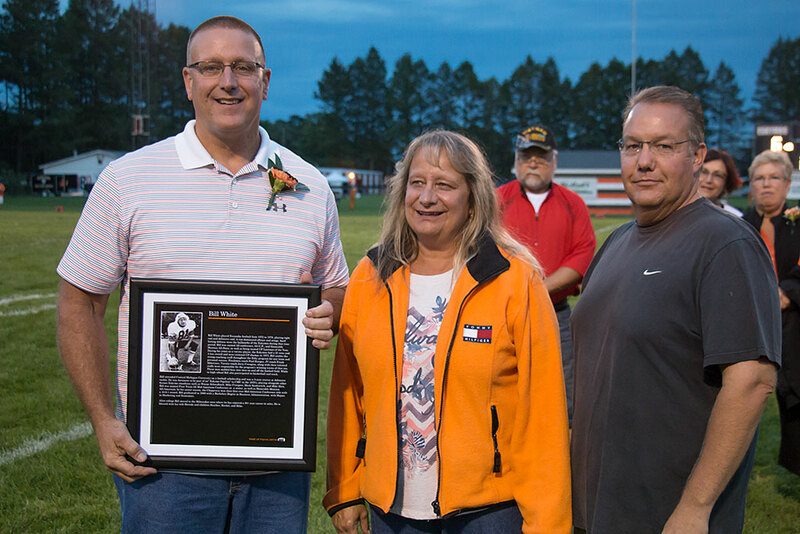 Mike Karkkainen was a two-year starter at EHS and was a linebacker with the 1979 Class A state runner-up team. He shares the school record with three pass interceptions in one game. After graduating in 1980, he spent four years with the Wildcats, then earned his doctorate in 1991 at Michigan State University. He has spent the past 20 years as a general surgeon at Bay Area Medical Center in Marinette. He has served as the Menominee High School football physician for 20 years. 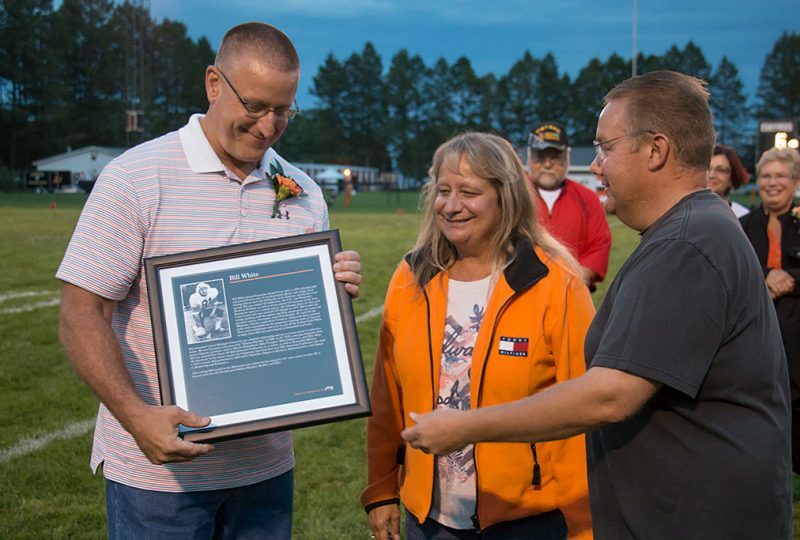 Mike Mileski was a three-year EHS football letterman who earned All-U.P. honors as a running back in 1957. 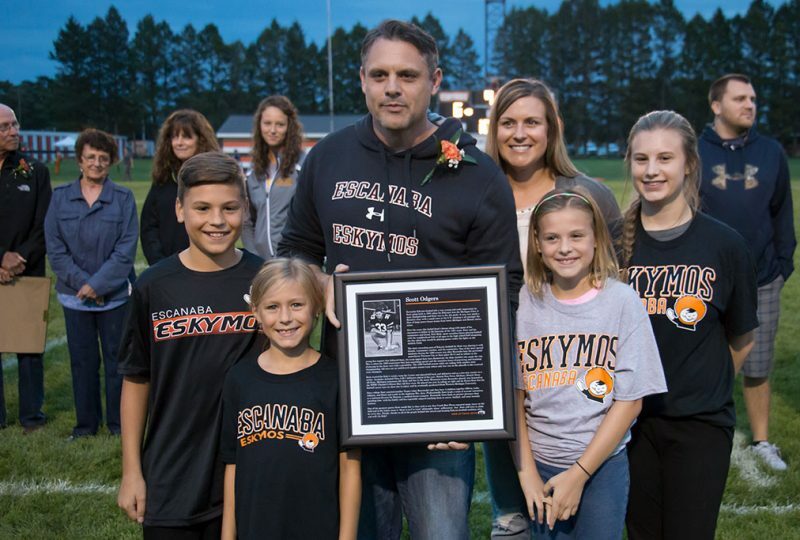 After a four-year football career at NMU, Mileski became a high school football coach at Ishpeming and Marquette high schools. 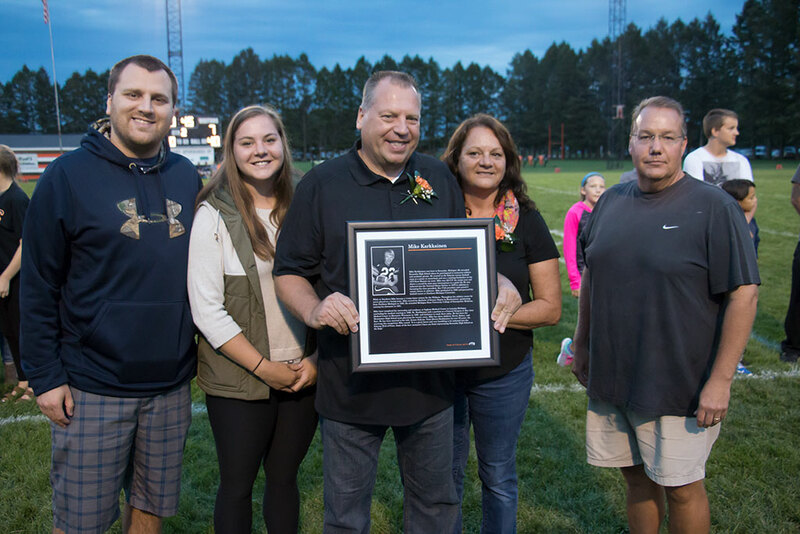 He directed Ishpeming to the 1975 Class C state championship with an upset victory over Hudson to snap its’ national record 73-game winning streak. That was the first year of the state prep football players. 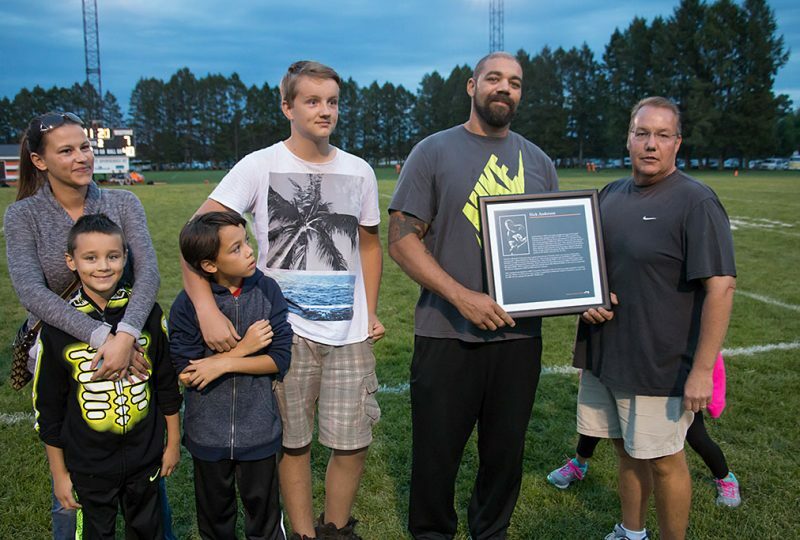 Mileski was inducted into the Upper Peninsula Sports Hall of Fame in 1995. Scott Odgers helped the Eskymos to a 9-0 season as a senior in 1989 and was a three-year starter, including on offense and defense as a senior. He was the U.P. Class A-B-C defensive player of the year in 1989 and a consensus all-state selection. A shoulder injury ended his Ferris State College football career after one season. Ralph Sarnowski spent the 1963 and 1964 seasons on the Eskymo varsity, then played football at Central Michigan University. He became a football and wrestling coach at Sault Ste. 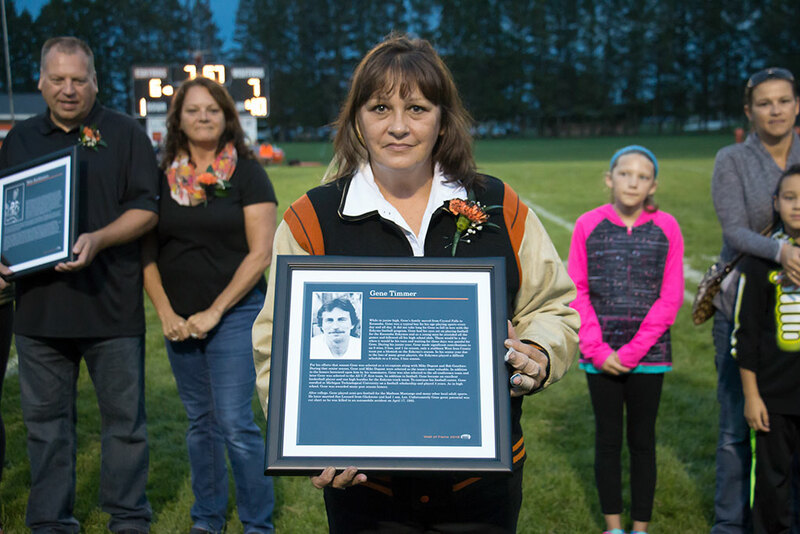 Marie for 25 seasons and coached middle school track for more than 35 years. 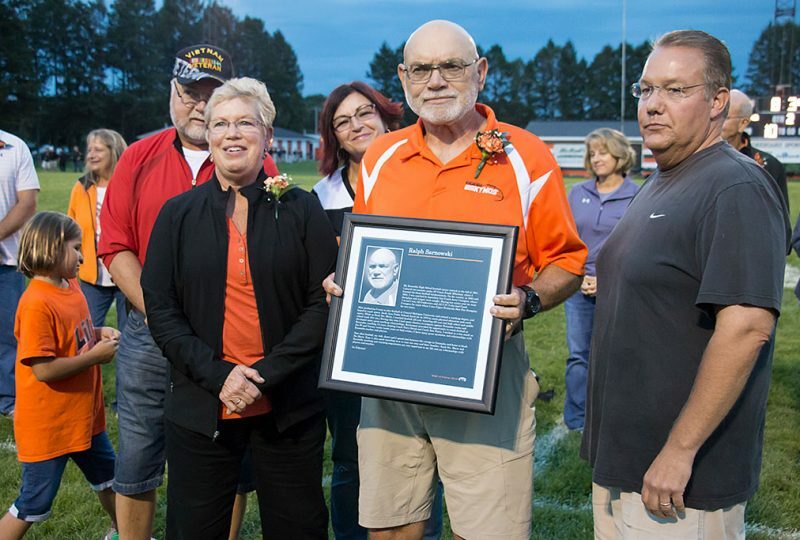 After retiring, he spent 13 years as an assistant football coach at Escanaba. 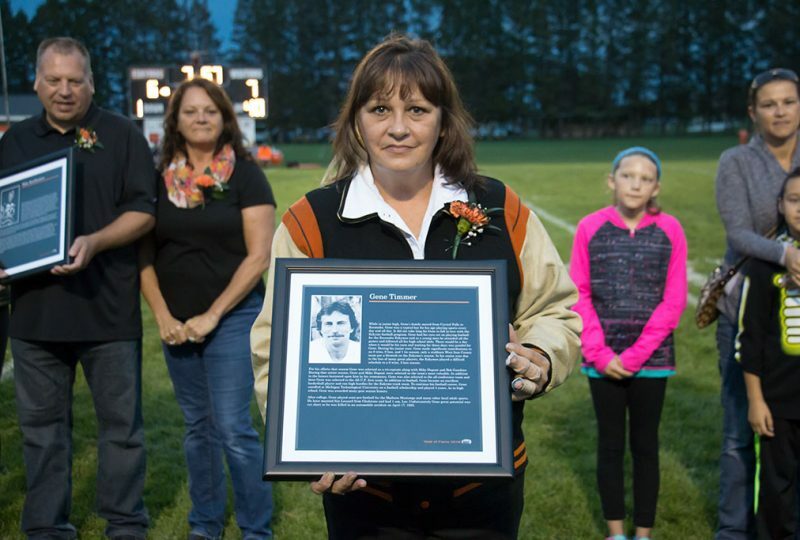 Gene Timmer was an all-around athletic standout at Escanaba, earning first-team All-U.P. honors as a senior in 1969. 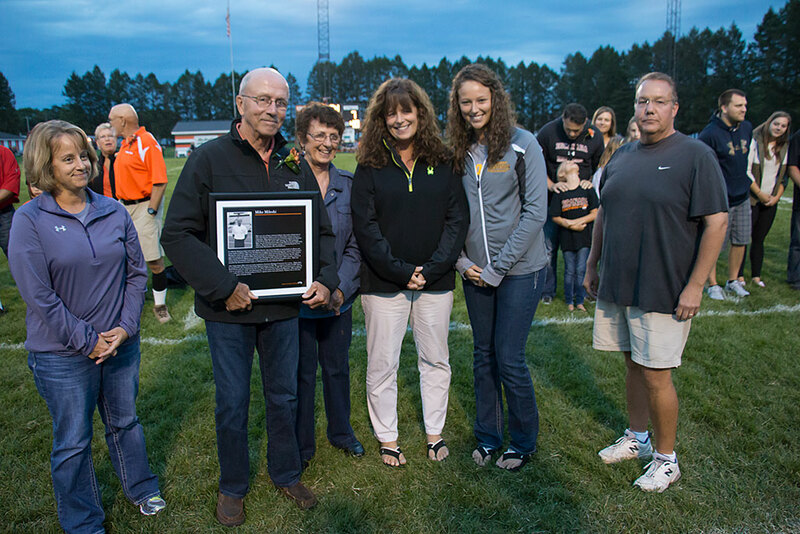 He then played football for four years at Michigan Tech University, where he was all-conference in 1972 and 1973. 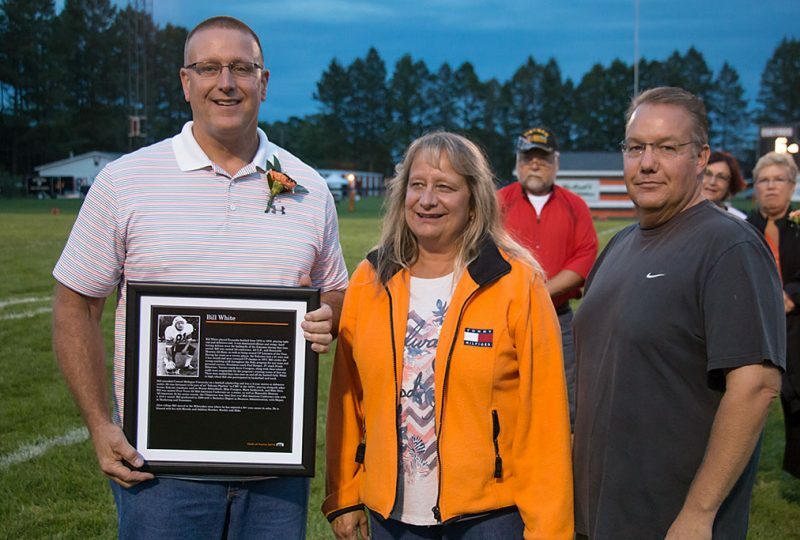 He joined Tech’s Sports Hall of Fame in 1989 after setting six pass catching records. Timmer died in a 1980 car accident in Iron Mountain when his vehicle was hit by a drunk driver. 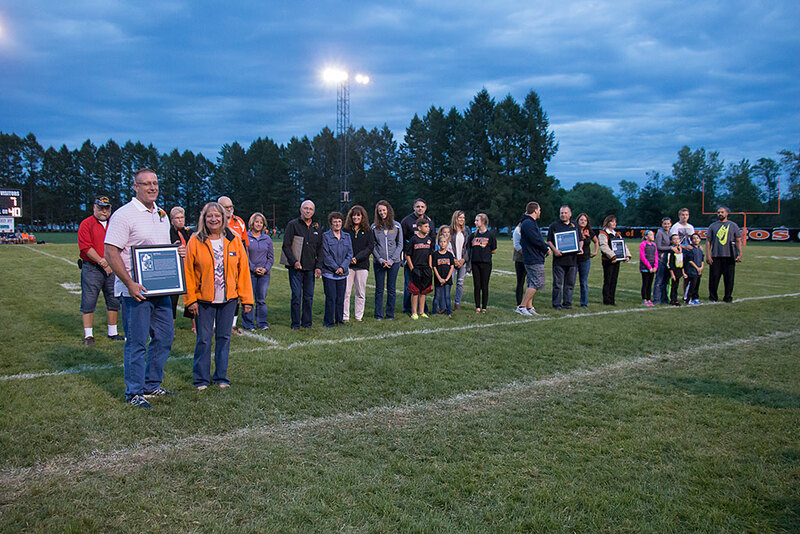 His widow, Sue Lessard, accepted his award. Bill White played football at CMU as a three-year defensive line starter after playing for Escanaba from 1972-76, earned All-U.P. Lineman of the Year. He was a Mid-American Conference all-star as a senior and helped the Chippewas to their first MAC title. Plaques will be installed on the west wall under the grandstands. 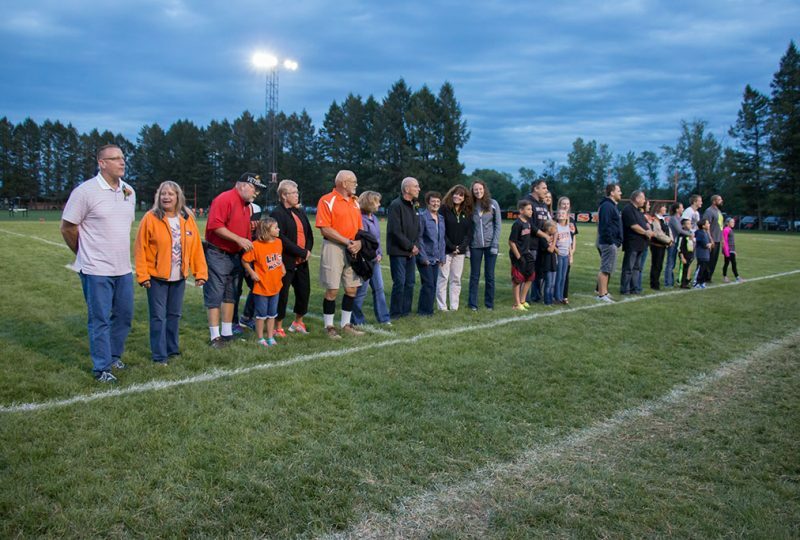 Share the post "Escanaba Eskymos add seven to Wall of Fame at halftime program"
Categories: Delta County, Featured, and Sports.